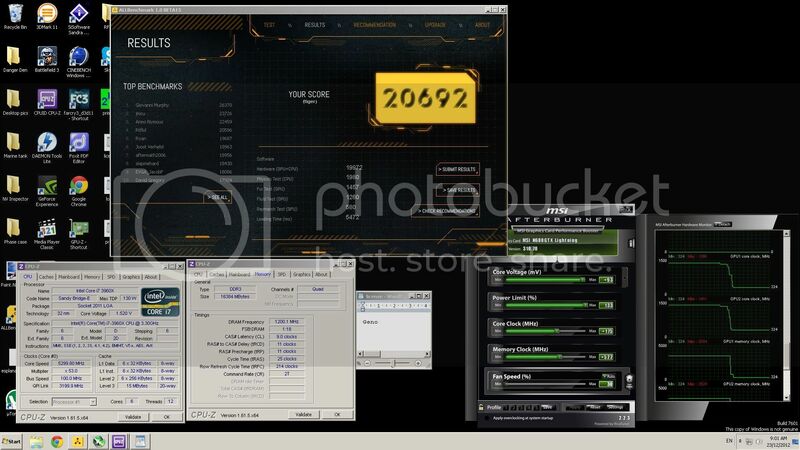 Discussion in 'Video Cards & Monitors' started by Surtr, Dec 21, 2012.
hey guys, going to set this up like the 3dmark threads here on ocau. Catzilla is a new DX11 benchmark, currently in beta, similar to 3dmark but made by a different company - Allbenchmark. Simply download the installer here http://www.allbenchmark.com/en/download and install to run. 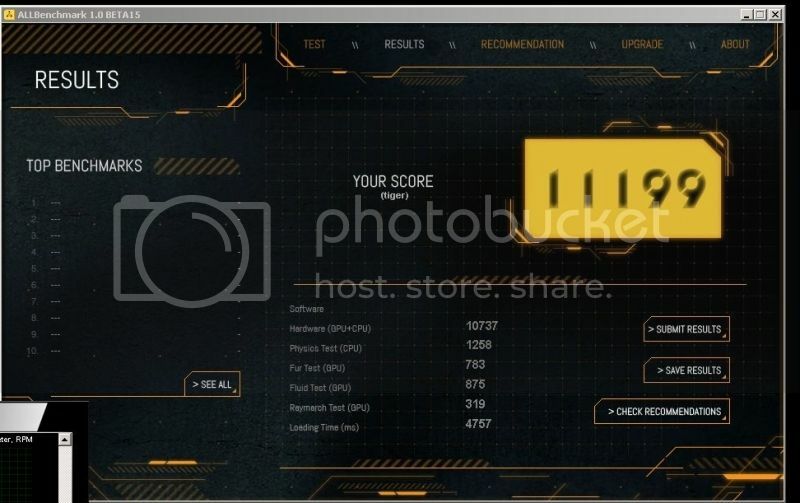 I'll ask for people to link a photo showing their results for the "Tiger" resolution preset , including a CPU-Z window for CPU, Motherboard and RAM, and a GPU-Z for videocards. I'm also going to say that AMD Tessellation does NOT have to be enabled, as per HWBot rules for 3DMark11, though this may change in the future. 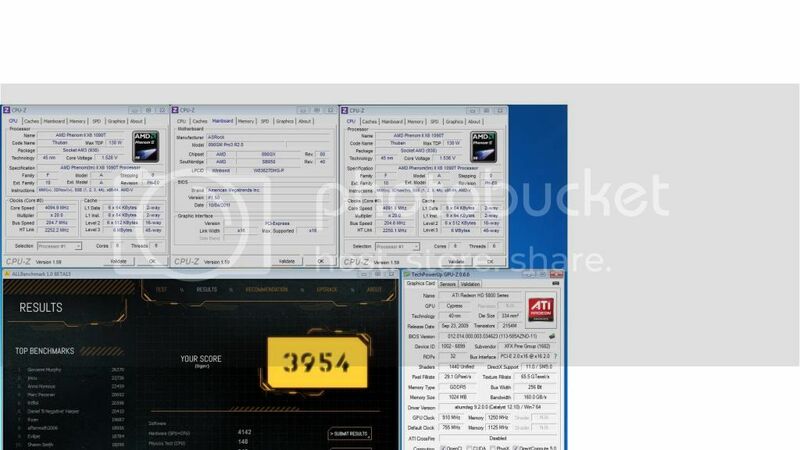 My 3770 @ stock and 660Ti @ stock get 7427... does that seem right? haha, i have no idea. i guess its probably about right. well here is a totally unoptimsed run. didnt even shut down my email client. good guy cbuzz, writes his own data. edit: well I did, after restarting I just get stock on the loading screen. 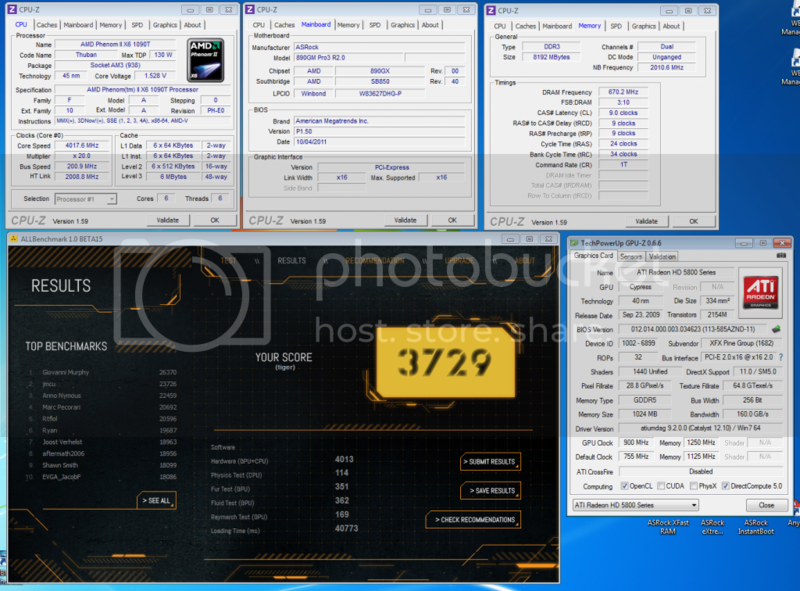 Did a quick dirty 1400 sli run just to see how system would go and pumped out a 20692 to snag current #4th in the world for Tiger preset. 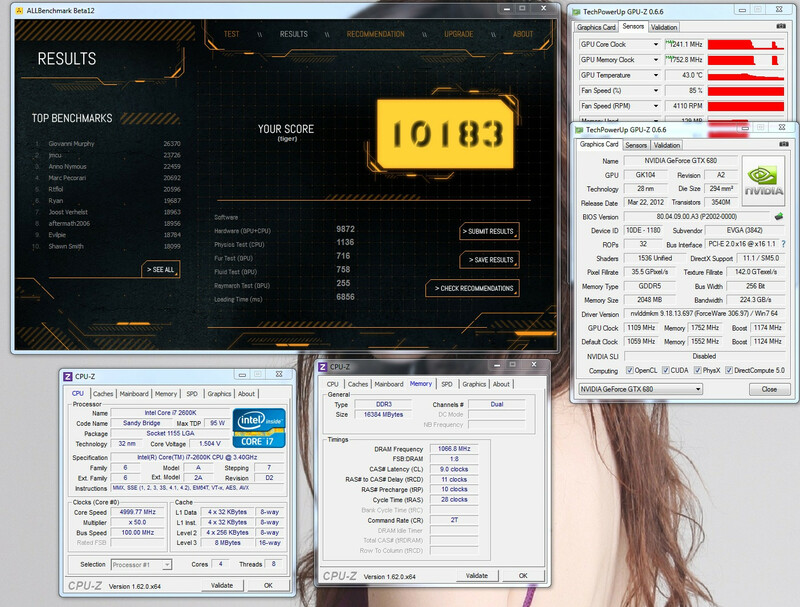 Will more then likely do a 1450 sli run later on. Keep em coming guys, will update the thread later tonight. depends what ram you have and what its rated for. and after that, it depends how much juice you're prepared to give them. My rams are rated 2600 10-12-12-31 at 1.65v, i run 2666 9-12-12-17 at 1.85v. Just a quick stock run, finally got SLI working using Alternate frame rendering 2. Also just found out something freaking retarded. Loading times affect scores just as much as the other results!! 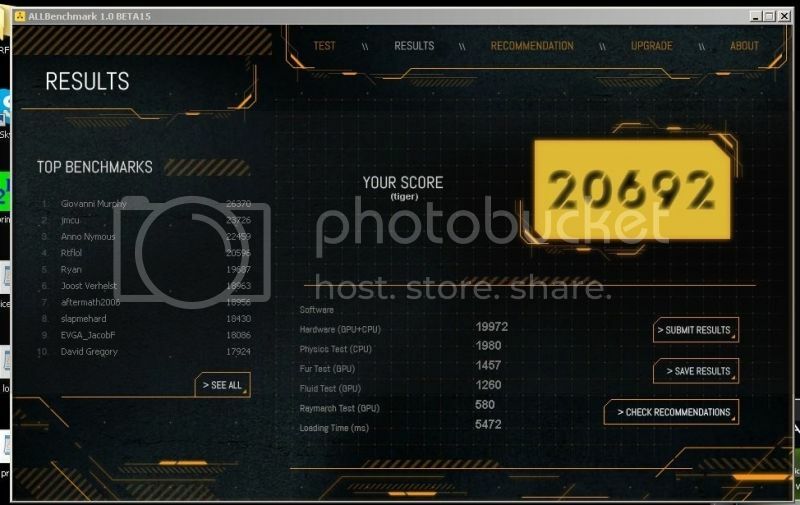 Had it installed on my HDDs & ran the benchmark with my 670s OC'd, most scores are a couple hundred to a THOUSAND higher(GPU+CPU score) or borderline lower yet the overall was 1000 points lower because my HDD was busy during the load (30s vs 90s). Note the clock speeds in this run are the same as my 15k run below. Re-running now off an ssd to see if the points jump up drastically at all. So there you have it, run this off your SSDs.